LEUNG HAU-CHI (Choi Siu Fun, Ada), a career woman in her 30s, has all the attributes of a typical Hong Kong girl - fussy, arrogant and easily irritated by the sight of beautiful young ladies. She is desperate for love and has been eagerly waiting for the thrilling miracles of life. As CHI is plunged into misery and despair, something strange happens and leads to her abrupt transformation into a superwoman of charm and immense strength. Every time CHI mutates, she is equipped with extraordinary powers, through which she fights for justice and helps the weak, joyously exploring and experiencing a dazzling kaleidoscope of adventures. 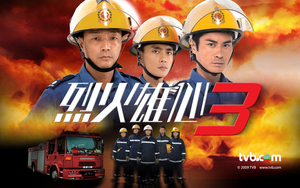 Along the way, she is happy to have met three nice men, namely the brave yet traditional policeman YEUNG HO-YIN (Wong Tak Bun), the good-natured gentleman turned nouveau-riche businessman TSU WING-FAI (Raymond Cho), and the super-talented genius KAN MING-HIN (Chan Ho, Moses). Fortuitously, HIN is in love with CHI in both her usual and mutated states, leaving her stranded on the horns of a dilemma. Ada will start off as a "lifeless" office lady with an empty love life. All of a sudden, she is gifted with super powers and her life changes forever. She helps people in danger and her love life is filled up with 3 potential lovers. Moses is a plastic surgeon who is also a player. Kenny Wong will be a cop. 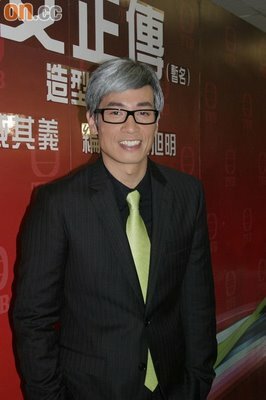 Raymond Cho will be an office man.